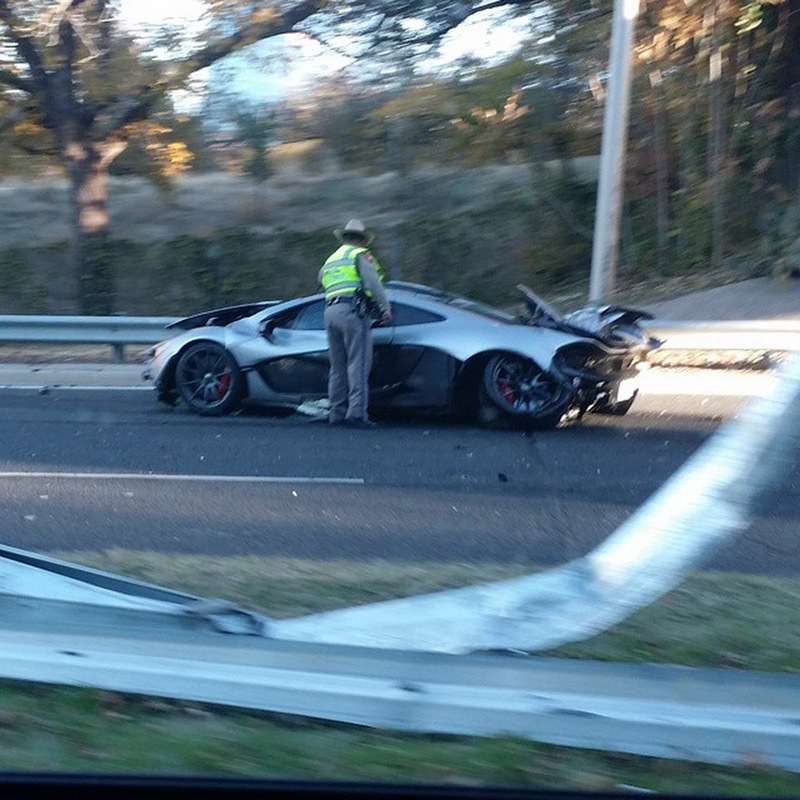 The 27-year-old owner of a McLaren P1 crashed his brand-new car, costing $1.2million, within 24 hours of collecting it from the dealership in Dallas. So far only 375 of these cars have been built, a number now down to 374. With a seven-speed gear, 2.8 seconds from 0 to 62 mph (100 km/h), a twin turbo V8 and top speed of 217 mph (350 km/h) "possibly the most exciting car ever built" is how this car has been described by autoweek.com. The driver and a 24 year old passenger were injured in the crash, luckily not seriously. Given the power of this supercar, the driver and passenger are very lucky to still be alive without any major injury. It has been speculated that the reason for crashing the car might be due to the driver putting the car into sport mode instead of auto.